Financial planning is a multi-step process that provides you with two important things: (1) An in-depth review of your current financial situation, and (2) a blueprint that shows you how to achieve your goals and objectives for the future. At Money Professionals Group, the financial planning process consists of seven distinct steps (see Seven Steps to Success for details on our unique financial planning process). It is important to remember that financial planning is a process . . . not an event. First we focus on your goals, objectives, priorities and values. For instance: the reduction of current and future income taxes may be an immediate goal, funding a quality education for your children and/or grandchildren may be an intermediate goal, and enjoying a secure financial future in your retirement years is likely to be one of your most important long-term goals. Another great goal in life for some people is creating wealth and/or leaving a legacy for your chosen beneficiaries or charities. You may already be on the road to meeting these objectives and simply need a new strategy, professional insight, or to fine-tune your plan. You may just be starting out, or you may be somewhere in between. Whatever your unique situation may be, everyone needs a periodic assessment of where they are on the road to meeting their financial goals. That's why we do an in-depth review of your current financial situation. Next, you need to know how you can set about achieving (or continue working toward) your financial goals. By focusing on cash flow, investments, taxes, pensions and retirement plans, estate planning, insurance issues, savings opportunities and other general financial matters, we design a customized financial plan for you. Finally, to achieve the intended results, you must implement and monitor your plan. It may seem like that at first, but the good news is, if you follow your plan and maintain a disciplined approach, you can rest well knowing you can reach your stated goals. At Money Professionals Group, we try to make the process as easy as possible for you. In addition to receiving professional advice on your most important financial concerns, we can also provide implementation and ongoing asset management services, if appropriate for your needs. 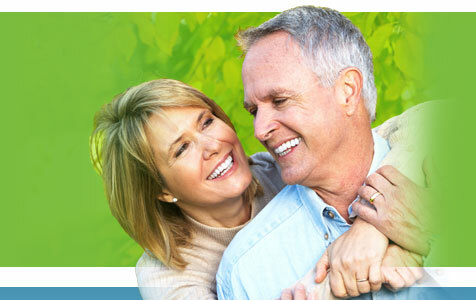 Any individual seeking financial peace of mind can benefit from our services. We serve people at all income levels, from all walks of life. Clients have the flexibility to work with us on either a one-time, as-needed basis or an ongoing basis. We welcome clients who simply need a one-time financial consultation or a second opinion, as well as those who need comprehensive financial planning and possible ongoing asset management services. In addition, any corporation or organization seeking quality, unbiased financial education for their employees or members can benefit from our financial education programs. Because we are Fee-Only financial planners, all conflicts of interest regarding compensation are removed. We do not accept sales commissions; we work solely for our clients. Because we do not sell financial products such as investments and insurance, there are no third-party relationships or outside influences to color our thinking and financial recommendations. For more information on Fee-Only financial planning, including our Code of Ethics, Fiduciary Code and member requirements, please visit www.NAPFA.org. In addition, our firm is a Registered Investment Advisor (RIA); as such, we must comply with a host of regulations designed to protect the consumer. One important question you should always ask when considering a financial planner's services: ''May I please have a copy of your ADV Part II?'' This document contains important information about the planner's qualifications, fiduciary duties, history of any past violations, etc. We would be happy to send you a copy of our ADV Part II. Please contact us to request your copy. While we do not sell financial products, we will offer specific recommendations and opinions regarding the purchase of the various financial products that may be appropriate for you. So, if you need to obtain an insurance policy or a new mortgage, invest into a portfolio of mutual funds, or find an estate planning attorney or tax professional, we can direct you to the resources you need and/or help you obtain these products and services. If appropriate, we can also help you implement your plan and set up your account. 7. Does Money Professionals Group provide only comprehensive financial planning? No. Although a comprehensive financial plan can provide the greatest benefits, we can limit our advisory services to your specific needs, such as cash management and budgeting, investment analysis or college education funding. 8. My spouse and I are just beginning to build for our financial future. There is so much to learn! We need help and guidance to get started. Will you accept us as clients? Yes. Some firms have income levels and/or net worth minimums but, at Garrett Financial Planning, Inc., we realize that everyone has financial needs. We are proud to work with people from all income levels, and all walks of life. Remember, ''You don't have to have a fortune to start building one.'' Call us today and let's get started. Yes. People who need more sophisticated financial planning or advice will find our services appealing and beneficial. If you have a desire to simplify your financial affairs, our Ongoing Retainer Client Program may be right for you. If you are looking for a professional review or a second opinion to ensure you are on track, we can provide that, too. 10. I'm in charge of the retirement plans and employee benefits at my firm. I would like to increase the number of employees who participate in our benefit programs. How can you help us? Corporate education is key in building employee participation. Our financial planning team can help your people understand the benefits of your programs. Please call to discuss your specific needs. We can custom-build an educational program for your company. 11. What types of securities do you provide advice for? We provide advice for all types of securities, including mutual funds, stocks (as they relate to your portfolio holdings), bonds, bank deposits, variable and fixed annuities, limited partnerships and tax shelters. We also provide advice on mortgages, budgeting and cash flow issues, 401(k), 403(b) and other retirement programs, stock options, life and disability insurance, etc. If it has to do with money and finances, we can provide counseling, guidance and/or resources for you. Because we want our clients to know that they can call on us with any and all of their financial concerns, we have developed the slogan ''Financial Planning and Advice for Everyday Life.'' Clients are encouraged to call us when they have a major life event, such as a new job, a baby, a marriage or divorce, or if they are planning to buy a new home or start their own business. We also encourage our clients to call us with more common everyday questions, such as: ''How should I invest within my 401(k) or 403(b) plan? '', ''How can I reduce my taxes? '', ''What advice can you offer on refinancing my home? '', or ''How can I maximize my Flex Spending Account, Cafeteria Plan or Section 125 Plan at work? 12. If I use Money Professionals Group to develop a financial plan, am I obligated to purchase the recommended products? 13. Tell me about your investment philosophy. As financial planners and investment consultants, we believe in the following fundamental principals with regard to designing an investment portfolio and making specific recommendations: The purpose of a client's investment portfolio is to fund current and/or future financial objectives. The design of the portfolio must take into account the client's financial objectives, tolerance for risk, needs for current income or liquidity, and special considerations such as income and estate taxes. The important thing to remember is that no one can predict the future. It is difference of opinion that makes a market. Investment and economic ''experts'' provided with the same information often come to different conclusions. We do not suggest that we can, or that any of the money or mutual fund managers that we recommend, will make the correct decision every time. We do believe, however, that studying the historic trends and relationships of investment classes and the philosophies and approaches of successful investment managers can provide valuable insight. The appropriate allocation of investment assets for your goals and risk tolerance is the most important component in developing an investment portfolio. We believe that having a diversified, well-balanced portfolio, following long-term buy-and-hold strategies, and having patience, will increase the likelihood that one will achieve their long-term financial objectives. 14. How do you select investments for a client? Before we recommend any investment, we consider the current economic conditions, the outlook for that asset class or type of security and how this investment fits within your portfolio given your objectives and tolerance for risk. For equity investments, we focus primarily on the philosophies, experience and track record of the management team. With fixed income investments, we look for the best yield available for a given quality of security. As fiduciaries for our clients, we strive to obtain the most appropriate investment vehicles to meet your objectives, while being very conscious of total expenses and risk exposure. 15. How do you price your financial planning services? The fees are based on the actual time involved in meeting with you in person or over the phone, researching and analyzing your current situation, and providing specific recommendations and implementation assistance (if appropriate). Hourly rates are $210 per hour for services rendered by a Certified Financial Planner™ professional. Ongoing retainer clients pay a fee which is based on a percentage of assets under management (the percentage rate may be adjusted based on the complexity of each client's unique situation). 16. How much will my financial plan cost? Financial planning fees are determined on a project basis; the total fee for a financial plan will vary from client to client based on the specific needs and complexity of your situation. An estimate is provided after the Get Acquainted Meeting, when your personal needs are fully identified. Once your financial plan is complete, there are three basic levels of continuing care based on your needs and desire for help. 17. Are your fees tax deductible? Yes. Section 212 of the Internal Revenue Code permits an itemized deduction for tax and/or investment advice in the miscellaneous section of Schedule A. It is subject to a 2% floor of the adjusted gross income on a personal tax return. 18. Once my financial plan is completed, will our relationship end? Depending on your client track, the actual engagement of services may end, but the majority of our clients choose one of our three Continuing Client Programs. Because financial planning is a process, not an event, we offer ongoing services, periodic reviews and day-to-day consultation as requested and/or needed. 19. How can I get started? The first step is an initial inquiry from you. Call us at 404-792-3888 in Orlando or 321-473-6424 in Melbourne, or email us at info@mpg.bz. We offer an initial no-cost, no-obligation Get Acquainted Meeting, either on the phone, virtually or in our offices. For Get Acquainted Meetings, appointments are scheduled based on availability during regular business hours of 9-5, Monday through Friday. Expanded office hours are available to accommodate special needs or emergency situations. Should you decide to engage our services, we can discuss which of our services and client tracks is appropriate for you. Most clients find the financial planning process to be stimulating and enlightening. The end result, of course, is greater peace of mind. We look forward to helping YOU build a brighter financial future!